Manchester United manager José Mourinho is innocent of tax fraud and had his tax affairs ratified by the Spanish government, according to his advisors. Mr Mourinho was accused by prosecutors of defrauding Spain of €3.3m (£2.9m; $3.6m) in taxes while he was Real Madrid coach from 2011 to 2012. A prosecutor said Mr Mourinho, 54, did not declare income from image rights in order to get an "illicit benefit". A statement released on his behalf said he "has not received any notification". The Gestifute Media release added: "To this date, neither the Spanish tax authorities, nor the public prosecutor have contacted Jose Mourinho or his advisers who were hired for the inspection process." 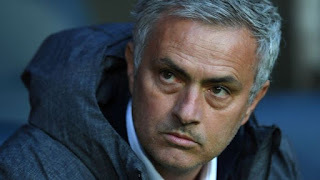 The statement also said Mr Mourinho "paid more than €26m in taxes, with an average tax rate of over 41%" during the three years until May 2013 and that he "entered into a settlement agreement" with the Spanish tax authorities after a change of rules in 2015.